Sycomore (Eau de Toilette) is a popular perfume by Chanel for women and was released in 2008. The scent is woody-spicy. The production was apparently discontinued. Sorry, but here the wheel was not reinvented. The competition is too big and it has been decades ago. Of course, it's noticeable that I didn't rate this scent so bad, how could I if I (in my opinion) praise THE vetiver scent (Guerlain) go to heaven. It's simple: It's not a reinterpretation of anything. Here they tried to impress him with some pepper. Here the similarity to Lubin or Guerlain cannot be denied. In my opinion, they are nuances. For me, it's almost a peekaboo at a cheeky price. Though it's a replica of Lalique Encre Noire, trimming Laliques omen intriguing darkenss, Sycomore is a unique earthy vetiver that proclaims the most earthy element of perfumery - vetiver - in a truly divine identity like being in seventh floor of heaven. A weightless touch of aldehyde and violet softly amplify tobacco without any warm or sweet render. Love it badly even with its poor performance. Yesterday, I finally tested the Sycomore EdT sample gifted me by a kind and generous fellow fragrance lover (thank you again! ), and I wanted to share my impressions which may be more helpful to the ladies than it will be to the gentlemen, but who knows? The gentlemen may also find what I have to say useful. Upon initial application, the top notes were quite strong and projected quite well. I think they were helped in this respect by a soupcon of aldehydes. They were very green and woody; however, the woodiness was not the woodiness I expected. Instead of the woody trunks of the cypress and sandalwood trees I expected, I smelt the green foliage of the cypress and what must have been the vetiver note, but I detected no sandalwood whatsoever. I also detected a lot of smokiness and possibly pink pepper. I am not familiar enough with the pink pepper note to be sure if I smelt it or not. The top notes dried down quite quickly as one might expect. Within thirty minutes, insofar as I could tell, as there was no one around to ask, Sycomore dried down to a complete skin scent on me. Overall, I found it quite linear. Sycomore's greenness and smokiness persisted into the deep dry down, but I was never able to perceive any floral note(s) in it whatsoever. About three hours later, I reapplied it and had the same experience as the first time. I continued to press my nose against my wrists every so often over the next four to five hours to see if I could detect anything else, but I was unable to discern anything else. Sycomore EdT persisted on my skin for a solid four to five hours but only as a skin scent. Again, I wished I had had someone nearby who could have offered me some input on the longevity and projection. In the end, I found I liked the deep, deep dry down of Sycomore best as the greenness finally began to fade away a bit. Now, as to the question of whether or not Sycomore is a "masculine" scent or not, I would argue that it is not a masculine scent per se. However, if I had not known anything about Sycomore in advance of smelling it, and if I had closed my eyes and smelt it on someone near me, I would have guessed I was smelling it on a man. I think it would definitely be attractive on a man. Yet, it is nevertheless "unisex" as I could see a woman wearing it as well, but I cannot conceive of a venue/occasion where I personally would wear Sycomore except perhaps if I were camping in the woods and wanted to blend in with the natural ambience of my surroundings. I spent a lot of time yesterday smelling and thinking about Sycomore EdT, and n my opinion, Sycomore has Sheldrake's signature all over it. It smells much, much more like a Lutens's fragrance than a Chanel fragrance, and I had to wonder what did Polge contribute to it? I do not detect any influence from Polge aside perhaps from the fleeting, light aldehydes in the top notes. If I smelt Sycomore at random and did not know that it came from Chanel and had to guess from which house it had come, I would have guessed Serge Lutens. Mind you, I still consider myself to be a beginner in this hobby, but these were my impressions of Sycomore, and I can see why out of all the Les Exclusifs Sycomore is the one most beloved by men. Would I enjoy this on the men around me? Yes, I believe I would do. Would I wear Sycomore? Well, I think I might wear it once in a while if I had it in my collection, but I doubt I would reach for it very often. Many people describe it as an Autumnal fragrance, but I would not associate it with any season in particular. I think it could be worn all year. I read one review in which the reviewer said she initially smelt No. 22 and Sycomore and opted for No. 22, but years later, she tired of No. 22 and fell in love with Sycomore. For me, it would be the other way around. I cannot conceive of ever growing weary of the gorgeous No. 22, and equally, I cannot conceive of ever falling in love with Sycomore EdT. That being said, I have yet to test the new EdP which according to one commentator is vastly different from the EdT and is more "feminine." I may like the EdP much more. It remains to be seen, but I plan to test the EdP at the soonest opportunity. A creation of the utmost elegance, executed in the grand classical manner. Forged from the most luxurious materials yet infused with an almost monastic austerity. What rescues Sycomore's tightly bound chic from the sterility of other minimalist ventures - of the sans fleures, sans sucré, sans vie variety - is the underlying human warmth hidden behind every detail. DISCLAIMER: My sample vial broke and I had to pour it all on me or lose the juice, so this review is based off of one wear. One very thorough wear in a very cold and dry climate (it's -20°C outside as I write this). Sycomore opened up much lighter than I had expected, which is not a bad thing. I am usually averse to aldehydes, but they only seem to appear in a supporting role to the top notes' pepper, lighting them up and preventing the spiciness from becoming stifling. The woods are discernible from the beginning as a faint background presence, and to my nose, juniper dominates. If you have never smelled juniper wood, I recommend you try to find a piece of it -- it smells gorgeous in its own right, and the note in Sycomore is pretty faithful to the real thing. Violet (as the only floral note listed) accents it very well. In about 40 minutes, along creeps vetiver that gives this perfume a fuller body and a more defined woody quality. Three hours in, it's a soft woody vetiver, and not overpowering in the least despite my erratic application. I couldn't detect any tobacco -- it could be the dry, cold day, or maybe it's just well-blended. Sandalwood (Australian?) is not clearly discernible as an individual note, but I assume it's what gives Sycomore a slightly powdery, creamy feeling. Sycomore is beautiful, unisex, and wearable. I would have like just a little bit of plush leather to round it a bit more, but this is a beautiful perfume in any case. Not sure if it goes up on my buying list, but now I am curious to try Encre Noire. Another perfume this reminds me of in the drydown is Bvlgari's Omnia with its tender woodiness -- it sure comes a whole lot cheaper than Sycomore despite being now discontinued. Comparisons with Encre Noire are inevitable. While Encre Noire smells much more a raw and earthy vetiver, Sycomore is brighter and lighter. While sandalwood turns this into a creamy fragrance, the cashmere wood makes Encre Noire darker and heavier. If you have enough money it's worth having both them. Actually if you dont, i'd stay with Encre Noire. Extremely similar to Encre Noir but a bit softer and more polished. Sycomore most likely uses more natural ingredients. As Encre Noir is one of my favorites and Sycomore is slightly superior to it naturally I love it. That said, Encre Noir is easily the better value and is probably good enough for most folks. If money is no object and you want the best in your collection, then I recommend Sycomore. 4.5 stars out of 5. Sycomore is the only fragrance I regularly wear which didn't thrill me at first. It took a few wearings and some reassurance from my wife to really appreciate it. It was an acquired taste. For me, the tricky thing was getting past my initial impression of it being smoky and tobacco-like. I felt a little self conscious wearing it for that reason. Thankfully, my wife assured me that it didn't project anything like the rank tobacco scent I feared. Besides, she really loved how Sycomore smelled on me. That encouragement was all I needed to give it another chance. What I found is that, over time, my focus shifted to Sycomore’s other qualities: the somewhat severe, yet airy, vetiver, the perfectly balanced sandalwood and the green of the conifers. Also, I’ve discovered Sycomore is actually quite a sheer fragrance. I don’t know if this will make sense to anyone else, but I find vetiver sheer in the way linen fabric is sheer. Individually, linen threads have some heft and coarseness but when the thread is woven into cloth it is open and airy. That’s how it feels wearing Sycomore. It has the earthy, slightly coarse quality of the vetiver root that seamlessly connects all the way up to the smoky, airy sandalwood trunk and into the aromatic branches of juniper and cypress. All those fragrant threads are woven into the cloth of Sycomore. Finally, I think I’ve found the word which accounts for Sycomore’s cross border gender appeal: handsome. It is a handsome fragrance. We tend to use the word "handsome" to describe beautiful men in a way that skirts (sorry, couldn’t resist) the feminine connotation of beauty. Yet, at one time, handsome was also commonly used as a way to describe strong women who possessed characteristics of masculine beauty. Take it as you will, but I find Sycomore to be a handsome fragrance. 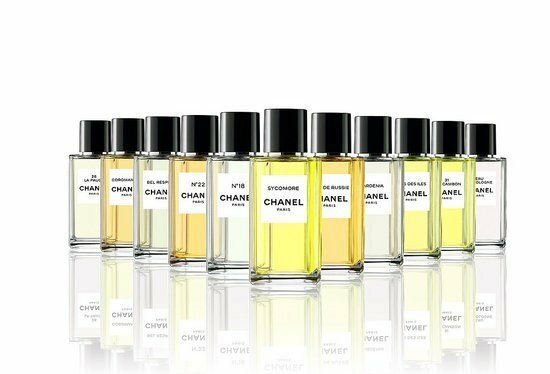 Chanel SYCOMORE is a very unique perfume, with a dominant tobacco note which combines with the other elements of the composition in the opening to produce what is to my nose very similar to the smell of a campfire burnt out. It's not the smell of fire, nor of smokiness exactly, but more the scent of cold embers the morning after a big campfire in the mountains. This same smell tends to infect the clothing of all those who sat around the campfire roasting marshmallows, singing, and laughing. Basically, a flood of memories from girl scout camp has been elicited by the opening of SYCOMORE, believe it or not! I am not and have never been a smoker, but this combination of earthy tobacco, vetiver and what seems to my nose to be leather is very appealing. SYCOMORE becomes even nicer in the drydown, when the dark heavy campfire aura evolves into a smooth, barely floral, powdery dry wood layer. Through its entire development, this seems a unisex fragrance to me. Nothing in my collection comes close to SYCOMORE, and I find it full bottle-worthy, so am adding it to my wish list! I absolutely adore rich, woodsy, smokey scents, especially those with tobacco as its most dominant note. Chanel's Sycomore fits this description, however in my opinion, this fragrance is far more masculine than feminine. I'm usually accustomed to gender-bending scents and I often wear fragrances marketed towards men, however Sycomore is far too masculine for me to even touch and the funny thing is, Sycomore is a female fragrance. Despite the initial surprise, Sycomore is rather enticing. The fragrance opens quite strong, with the vetiver and tobacco notes making a rather loud entrance. Once settled on the skin, the sandalwood and cypress blends in with the tobacco and vetiver creating an interesting dryness. Every time I brought my wrist to my nose I detected a powdery woods note, rather like the scent of fresh saw-dust. I was very relieved to see aldehydes as a listed note here, which proved that I had not been misled into making up ingredients. Smokey, and in some ways, bitter, Sycomore reminds me of a recently burnt Australian bushland after a rainstorm. It is the scent of a scorching hot Summer, however I can't say that I'd wear this anytime other than Winter. There are many words to describe Sycomore; dry, smokey, salty, earthy, masculine, nutty, dark, classy and balanced are only just the beginning. On each individual, Sycomore seems to differ. On a man, I'm certain that this fragrance would shine. 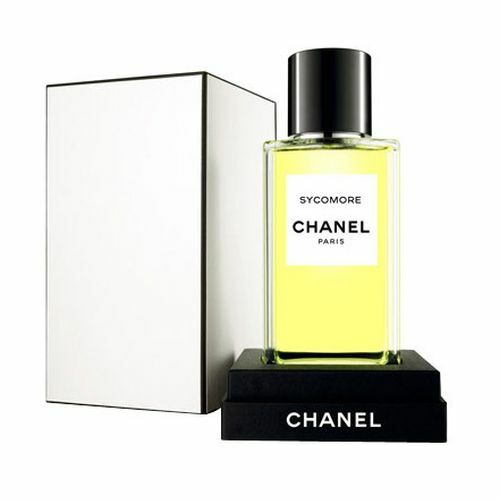 I'll just put it out there that Chanel's Sycomore is and should be unisex. This is pure vetiver – dry, like burning wood. This smells of aromatic smoke and earth. No sweetness at all to my nose, which is exactly as it should be. Use only a bit as this is very strong. I actually like to use just a drop of this under a scent I find too sweet or fruity to add depth. Write the first Review for Sycomore (Eau de Toilette)!